Home / Health / What Do You Need To Know Before Using Salt Lamp at Home? What Do You Need To Know Before Using Salt Lamp at Home? Himalayan salt lamps have become useful accessories in modern homes. They are known for improving the interior decor of homes which transforms them from being conventional to more contemporary. 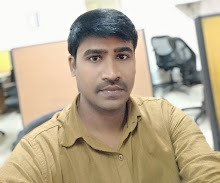 Buying Himalayan salt lamp requires you to understand different things about their operation and the effects that you may expect from them in case of prolonged use of the salt lamps. You may use them as decorative accessories, but you also have to take precautionary measure to ensure that you do not get harmed in the long run. Most homeowners look forward to buying the authentic Himalayan salt lamps but end up landing on the counterfeit types. 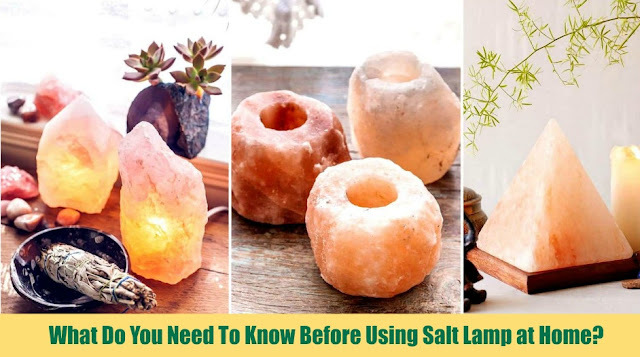 Before even buying them, you need to be knowledgeable about differentiating between the original and the counterfeit salt lamps. This article will discuss o how to use the Himalayan salt lamps as well as understanding their side effects. Using Himalayan salt lamps in your home or office is an easy task. You may have a guide on how to use them after buying from your online store or from a physical store that stocks the Himalayan salt lamps. The following are tips on how to use Himalayan salt lamps in your home or office. Your Himalayan salt lamp comes fitted with an electricity cable which you are required to plug into the power source. Having wires crossing within your room should not be an option. They can result in accidents due to tripping especially when the room is busy. If you have a salt lamp placed within your bedroom, ensure that you lace the salt lamp close to the power source. This way, you avoid the wires running across the room and minimize the risk of accidents happing in the long run. Having your salt lamp on for long hours may be beneficial in that it removes most pollen and dust particles from the air. However, due to its hygroscopic nature, it may result in the formation of pools of water at the base. If not frequently wiped off, the water may flow from the stand to the floor making your room look messy. If you are going to work in the morning, do not leave your Himalayan salt lamp on. Unplug it from the power source and ensure it is safely placed on its stand. The salt lamp when being used is usually sweaty are requires to be wiped to remain in pristine condition. If you are not used to taking care of the salt lamps, you will need to be well aware of the need to wipe it frequently to avoid the formation of water pools. Wiping the lamp frequently will help to keep it dry and function effectively. This means that you will not have a problem with your wooden furniture absorbing the water being formed at the bottom of the salt stand. Understanding the Side effects of Himalayan salt lamps is essential for any user. It helps them appreciate the type and size that they should get for their interior décor. Also, knowing the side effects of Himalayan salt lamps helps the users to take the appropriate precautionary measures to avoid any risks. The real Himalayan salt lamps are highly hygroscopic, and wen left for on for long hours may end up forming pools of water at the base. The water from the salt lamps is mixed with chemicals from the dissolved minerals. This may be damaging to your furniture if not well checked. When the corrosive water comes into contact with metallic furniture in your home, they may end up rusting which results in an unattractive space. If you do not want this to happen to you, you need to place your Himalayan salt lamp on a surface that can easily absorb the water that drips from its surface even in your absence. A common side effect of the Himalayan salt lamp is on your pets. Some pets are used to licking the salt lamps to replenish their mineral salt deficiency within the body. However, the mineral elements within the Himalayan salt lamps poses the pets to the risk of being poised. This is a severe side effect as it may also lead to the death of your pet if not well treated. To avoid such occurrences, you are required to install your salt lamp in a position that is not easily accessed by the pets. This way, you will not suffer losses in the long run. Some salt lamps may be heavy and poorly installed. If they fall on children, they may cause serious injury. When installing the salt lamps, you should ensure that you do not expose them dangerously in a way that they can hurt children moving around the house.